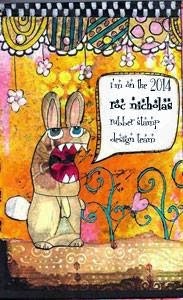 My good friend, Roc Nicholas, is putting together a design team to showcase her rubber stamp collection, which is sold at Stamptique.com. Check them out. If they're calling your name, visit Roc's blog for instructions to apply for a designer position!